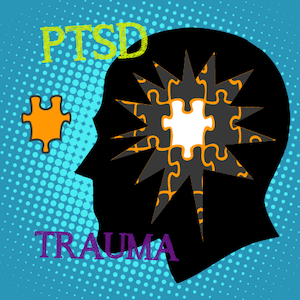 While exploring signs and symptoms of PTSD and trauma, the characteristics of the 3 classes of PTSD, and the different ways PTSD and trauma can manifest during a session, we will learn how massage therapy can positively impact clients suffering from these conditions. Michelle Burns, BSN, BSAlt.Med., LMT, MTI, CEP, BCTMB is the founder of Advanced Holistic Healing Arts and is approved by the National Certification Board for Therapeutic Massage & Bodywork (NCBTMB) as a continuing education Approved Provider (278). Michelle began learning about health and healing at a very young age, having many experiences with hospitals and doctors as a child. Her family embraced many forms of healing, such as chiropractic, that were not common when she was a child. As she grew up, she found pleasure in “helping” others, and in her early teens, began volunteering in nursing homes and hospitals. She chose to enter the military and was assigned to Walter Reed Army Hospital, achieving a bachelor’s degree in nursing from the University of Maryland. She went on to receive advanced training in surgical nursing which gave her a great understanding of the anatomy of the body. After a time, she went on to study gerontology as well as behavioral nursing and realized how connected our lifestyle choices are to our health and quality of life. massage training and began incorporating massage into her nursing practice, providing healing through massage for patients recovering from injuries or severe illnesses. After several years, it became clear there was still a piece missing, so Michelle attended Everglades University at Boca Raton and completed a bachelor’s degree in Alternative Medicine. Combining traditional and alternative medicine with her knowledge of healing processes has allowed her to take a unique and truly integrated approach to healing and wellness. $129.00 before April 14. $159.00 after 4/14. Also known as somatic psychology, body psychology examines the link between the physical body and thoughts, emotions and memory. Modalities that incorporate body psychology often explore the link between physical tension and negative emotions, self-discovery through movement and using the senses to achieve wellness. Continuing education courses focusing on body psychology cover a wide range of topics from mindfulness yoga to the psychological impact of massage. One of the more prominent modalities is Somatic Experiencing (SE), a therapeutic mindfulness technique designed to help victims of trauma see the link between sensations and the lingering impact of their experiences. Because body psychology courses teach new methods of assessment and thinking, most courses will be moderate to lengthy in time commitments.